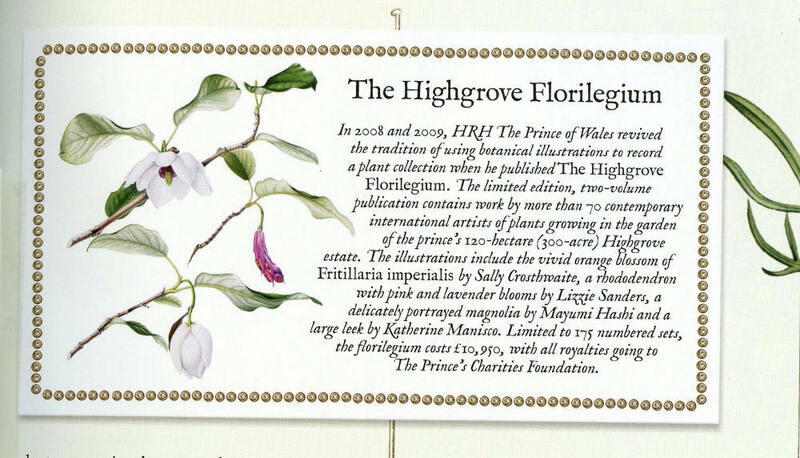 Highgrove Florilegium | Welcome to Mayumi Hashi's World!! The first exhibition of the Highgrove Florilegium in the UK will be opened on Tuesday 12 May until Monday 31 August at the Garden Museum, Lambeth Palace Road, London. If you ever have a chance to be in London, please visit the exhibition. My painting is Magnolia sieboldii subsp sinensis and it’s like this. There was a review about the exhibition in New York and my name is included. You can click here, http://www.mayumihashi.com/blog/?p=535 or here (the article).